A deferred tax liability, in the most basic terms, is based in a certain form of balance sheet analysis. In the operations of many different companies, one necessary aspect of doing business is accounting for the difference between the anticipated income tax rate, taxes payable, and the value of the company’s tax accounting. Based on what the difference between all of these important metrics are, deferred taxes can be accurately determined. It is important for this metric of the company to be determined on a yearly basis in order for the company to both remain within compliance and fully comprehend its tax standing. One of the most common mistakes that those new to business can make is assuming that there isn’t any difference between pre-tax income and taxable income. 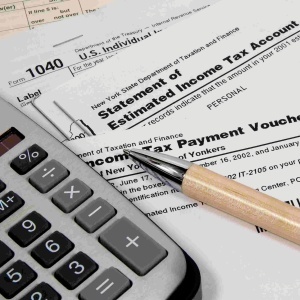 The reality of the matter is that there are a very real number of differences between taxable income and pre-tax income, and a deferred liability for taxes is a testament to that fact. Because these difference exists, there are a number of differences between the things that accompany can deduct for the purpose of accounting. The tax liability that is deferred stands as a sign of what the company is on the record as committing to pay more income tax on in the future. To put it simply, the company commits to paying more on income tax on a future date due to the fact that a certain transaction was made during a certain period of time; proper accounting ensures that this transaction was taken note of. One of the most important reasons to be savvy about deferred tax liability is the fact that the specific legal regulations surrounding accounting are distinct from the regulations surrounding tax laws. Due to the discrepancy between the laws referring to taxes and accounting, it is not uncommon for the earnings of a company before the income statement has been taxed being higher than what is reported at the taxable income on its tax return. Based on the distinction between the what the company earned what is specified as taxable income, the difference is deferred on the balance sheet. The difference is deferred, not diminished, so the company is still fully expected to satisfy the expected tax payment at a later date. This tax liability metric is calculated with a formula that stands for the expected tax rate of the company in the future, multiplied by whatever the difference is between its pre-tax accounting earnings and taxable income. The majority of confusion surrounding deferred tax liabilities stems from the fact that the United States law permits two separate regulation books referred to for taxation and finances. The most common example of when tax liability may be deferred is whenever a company encounters a difference between their depreciating fixed assets in terms of financial accounting and their depreciating fixed assets in terms of taxation. In addition to fixed assets, there also may also be tax/financial differences in terms of the company’s revenue and inventory valuation. In addition to the potential difference between pre-tax income and taxable income, tax liability may also be deferred whenever there are distinct differences (in either the bases of liabilities or assets) between the company’s tax and financial books. The differences between liability/asset bases in terms of accounting and financial tax are seen as temporary, and thus, they are anticipated to be satisfied as payable by the company in the future.